JUMO, a leading manufacturer of industrial sensor and automation technology, is pooling its SIL (Safety Integrity Level) and PL (Performance Level) product and solution know-how in new brand JSP (JUMO Safety Performance). 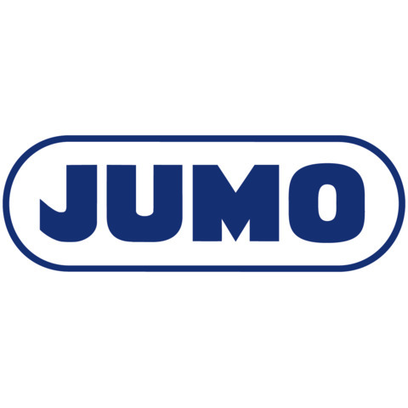 JUMO GmbH & Co. KG is a family-run company, now in the hands of the third generation. It has more than 2,300 employees worldwide, who manufacture high-tech measuring, control and automation technology solutions. JUMO is a global market leader in industrial temperature probes and a top innovator that boasts an exceptional vertical range of manufacture and an extensive product portfolio, enabling it to meet customer needs quickly and flexibly. JUMO's stand at HANNOVER MESSE 2019 reflects its response to a growing trend, specifically that SIL (Safety Integrity Level) and PL (Performance Level) are becoming increasingly important in the process industry and in mechanical and plant engineering, and this frequently presents users with complex challenges. JUMO's solution has been to pool its product and solution know-how in these key areas in the new JSP (JUMO Safety Performance) brand, which it is showcasing at HANNOVER MESSE 2019. The new JSP products feature a distinctive logo and are presented in a striking shade of yellow. At their heart is a compact, single-channel safety controller with selectable redundant input signals for temperature that can be used to achieve SIL 3 or PL e. By combining the JUMO safetyM safety temperature limiter/safety temperature monitor and certified JUMO sensor technology, the entire SIL chain of sensor, controller and actuator is calculated and delivered with the appropriate manufacturer's declaration. According to the developers, the JUMO safetyM STB/STW Ex is also suitable for ATEX/IECEx/EAC applications and complies with the Pressure Equipment and Machinery Directives. What's more, this solution can be implemented with almost all JUMO temperature probe types.